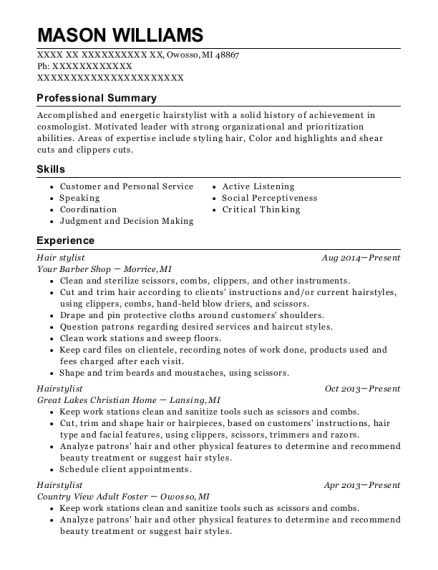 I want to obtain a career in cosmetology to make people feel great about themselves while continuing to learn today's latest styles to further my education in the beauty industry. Deliver food and drinks to tables while providing excellent customer service. Cashing out tables as in taking money and giving back correct change. Cleaning and sanitizing my surroundings. Lunch shift runner 09/2010 to 05/2012 Dominos Pizza – Xenia, OH Set up and open the restaurant, take customer's orders, prepare food, managing other employees to run a smooth lunch shift. Cosmetology certificate: Cosmetology 09/2013 Creative Images Institute of Cosmetology – Centerville , OH Obtained cosmetology license from Ohio State Board of Cosmetology. Volunteered in flash mob for Creative Images to help raise money for our Artistic Design team. 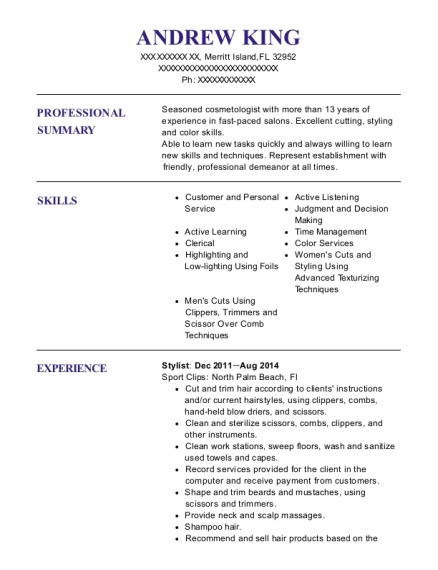 This is a resume for a Stylist in Xenia, Ohio with experience working for such companies as Emerald Loft Salon and Day Spa and Don Pablos Mexican Kitchen. 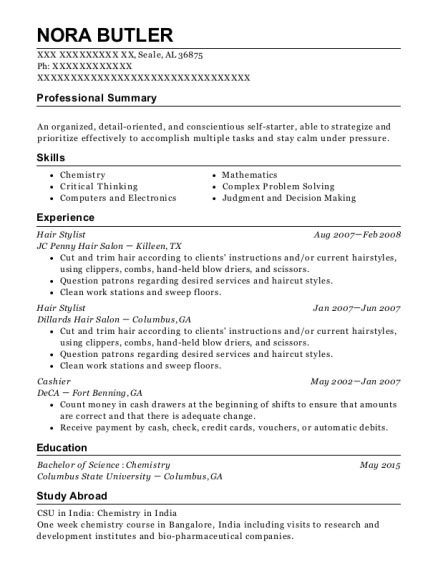 The grade for this resume is 0 and is one of hundreds of Stylist resumes available on our site for free. 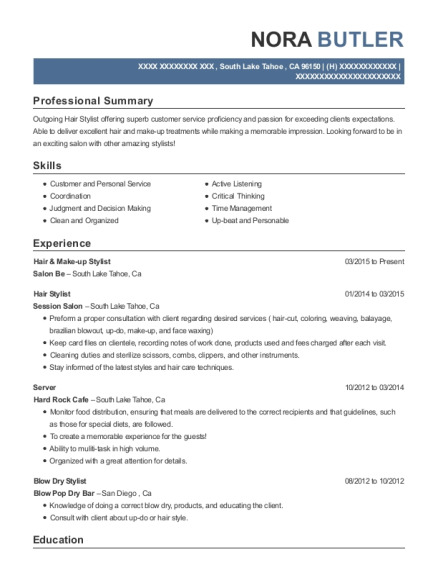 Use these resumes as templates to get help creating the best Stylist resume.